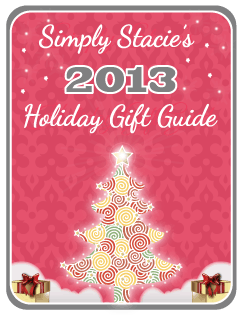 I have found the perfect stocking stuffer for children ages 3 and up who love animals! Pet Frenzied ($8.49) would be a great gift idea as it is a unique hide and seek card game for active kids. This game is so much fun and it is perfect for those winter days when you are looking for inside activities. You could also take it along for holiday trips or simply for game time at home. Pet Frenzied is an award-winning game for 2-6 players that has simple to follow instructions. 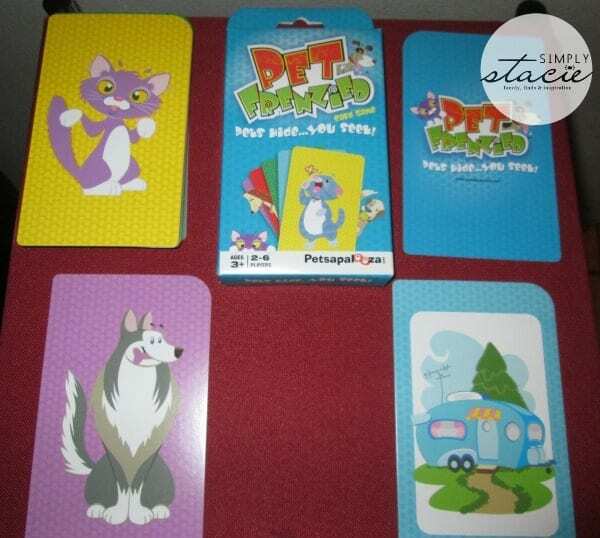 Kids love this animal rescue game because it puts a spin on classic hide and seek as children choose a place to play, place the House cards face down on a flat surface and then place deal the Pet cards into two piles for the hiders. If two kids are playing then they are both hiders who will take their set of Pet cards and place them face down around the play area where it can be found. The hiders then shout out “PET FRENZIED” and they become seekers who grab a House card and then try to find the matching color Pet card. Once they find a matching card they can race back to get another Pet card until all the cards have been matched up. Whoever has the most Pets cards collected is the winner. This game is so much fun that the entire family (even grownups) will enjoy playing together and I love that it provides an educational spin to the fun as it promotes early learning skills such as color matching, strategy, friendly competition and cooperative play. The cards are a nice quality and help up very well as my kids wanted to play this game over and over again. You are invited to visit Petsapalooza to purchase the Pet Frenzied card game for only $8.49 and browse other games for animal lovers such as Fur Ever Home: The Animal Rescue Game. I like the Fur-Ever Home Fun Board Game. I like the Fur Ever Home Game! The Fur-Ever Home board game looks awesome. Thanks for the opportunity to win! I learned that Pet Frenzied is the award winning, hide and seek, matching card game that can be played anywhere! Petsapalooza LLC creates high quality, fun, and educational games for pet lovers that gets kids back to play. I like the furrever home game. i like the furever home game! it seems like a really cute about rescuing strays i like it. I didn’t know there were so many games for pet lovers!